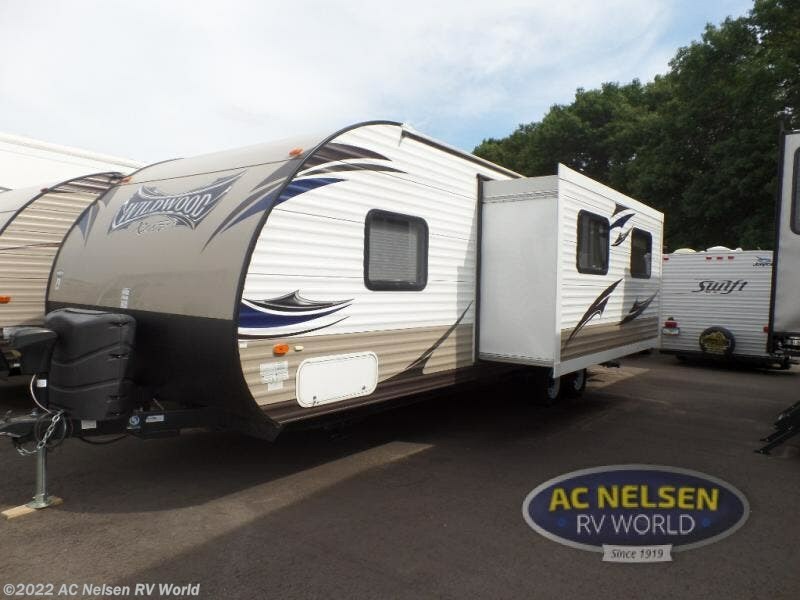 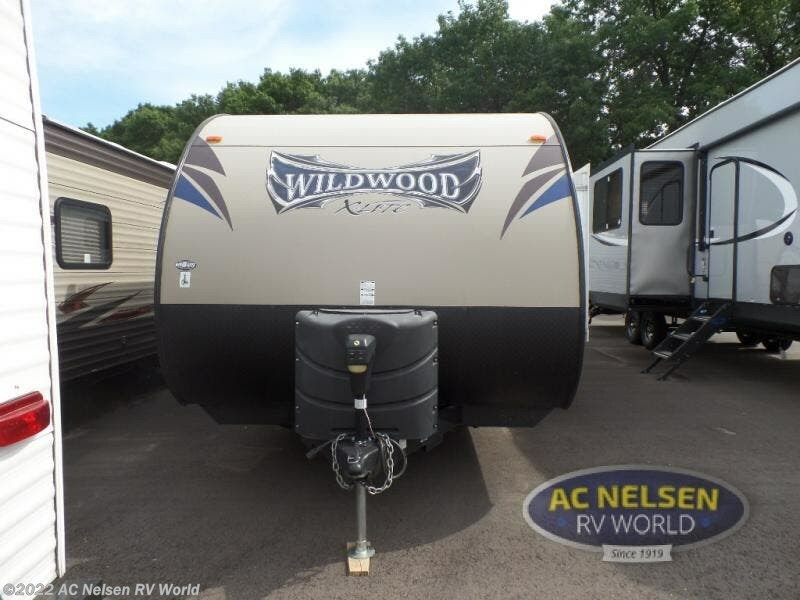 The Wildwood X-Lite 271RBXL travel trailer by Forest River offers a rear bathroom and single slide. 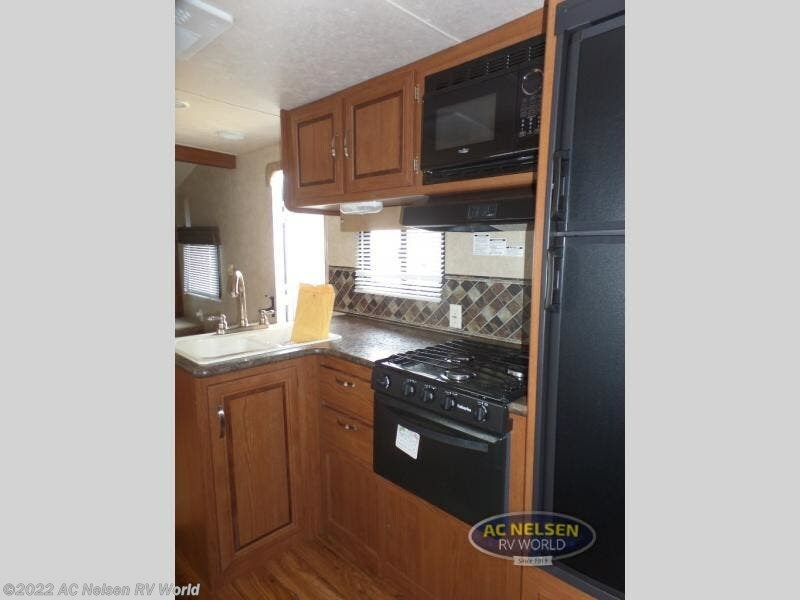 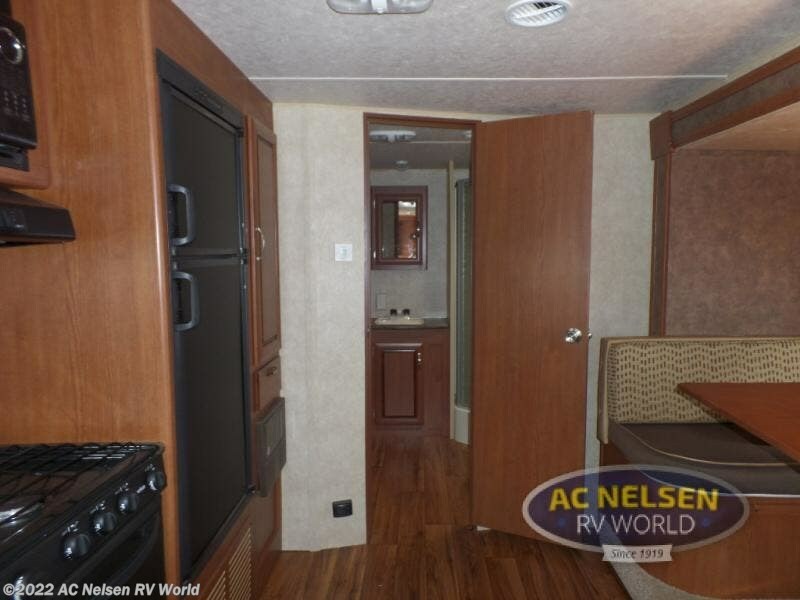 As you enter the travel trailer, to the left is a double kitchen sink, three burner range, microwave, refrigerator, and pantry. 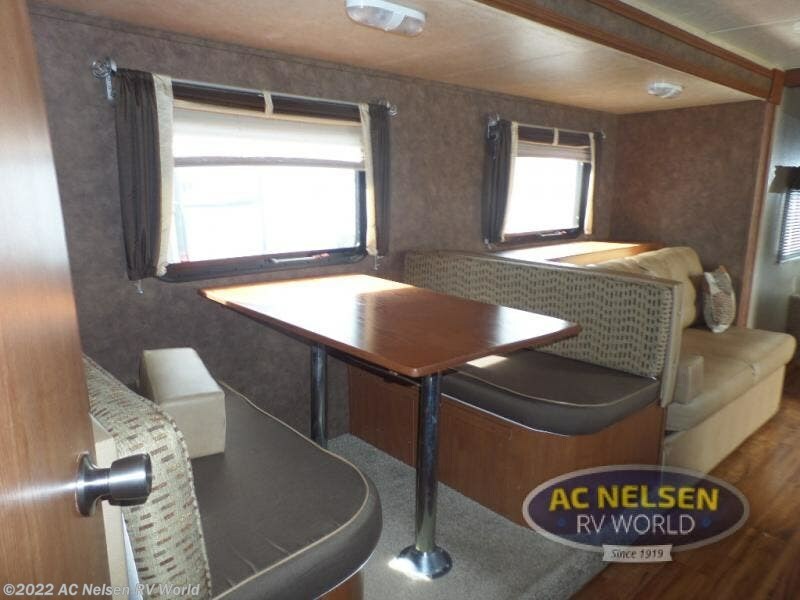 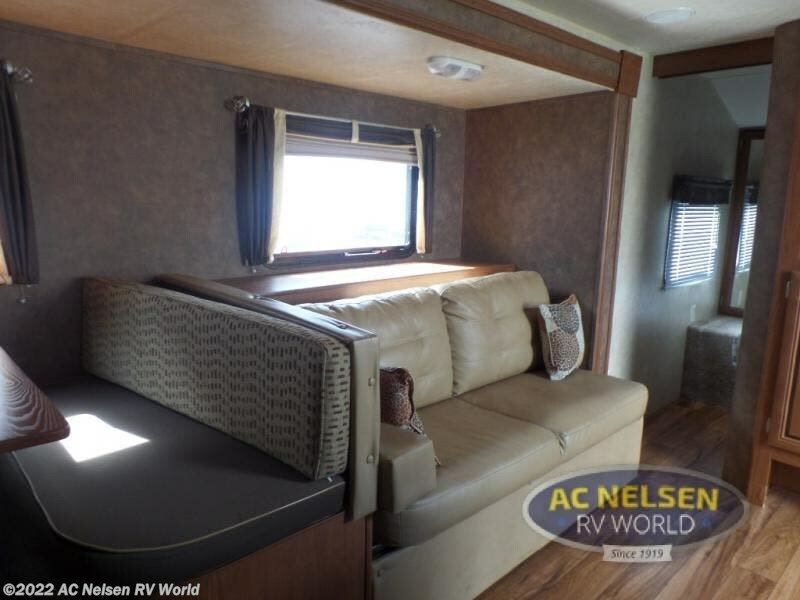 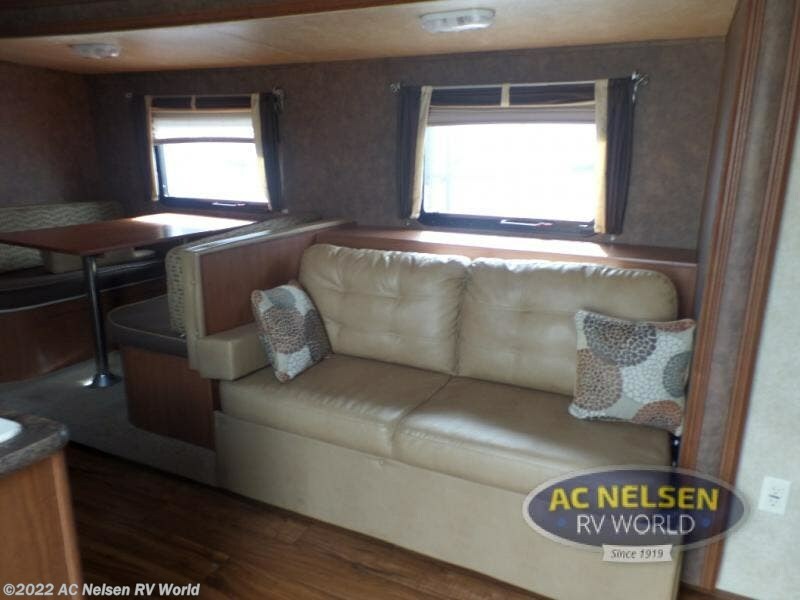 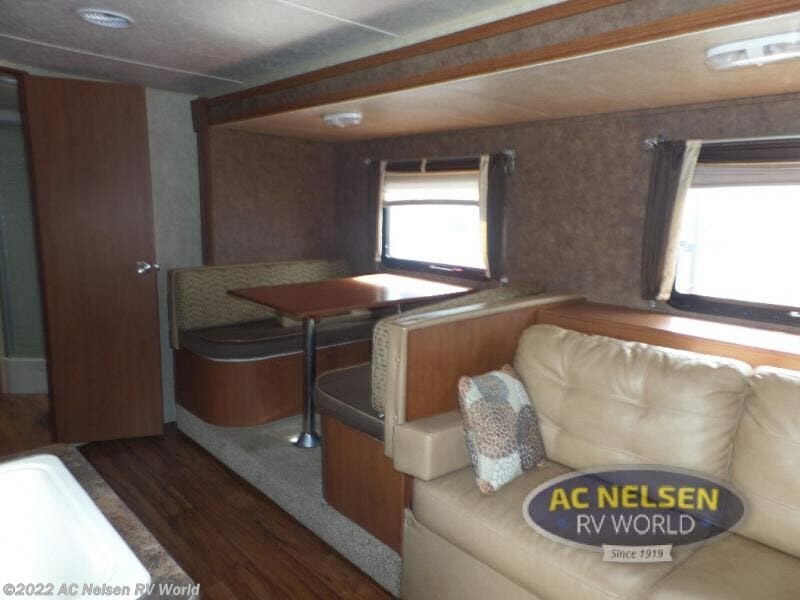 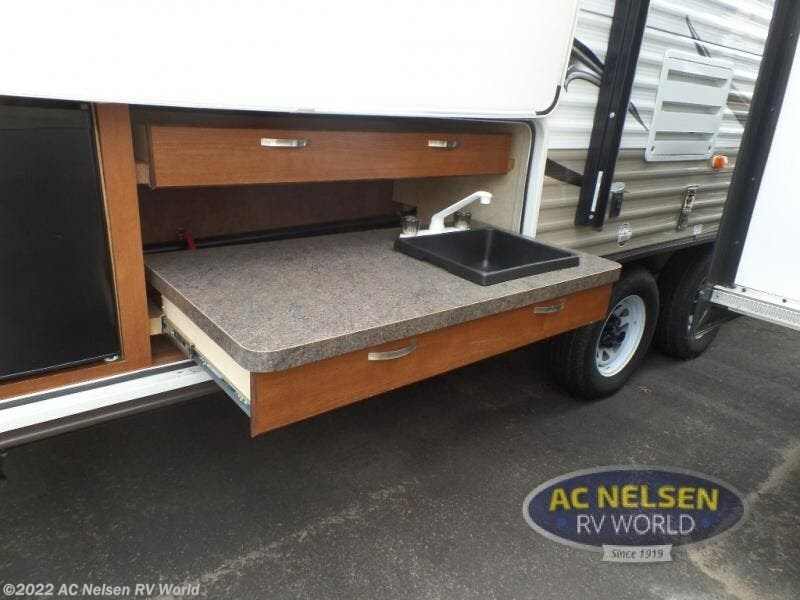 The opposite side offers a slide with a sofa and dinette. 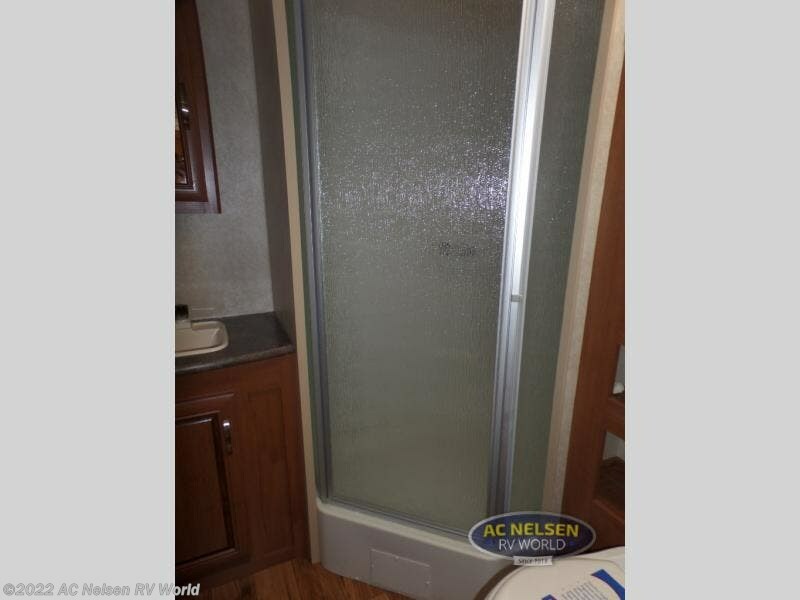 The bathroom is in the rear and you will find a toilet, neo-angle shower, sink, and medicine cabinet. 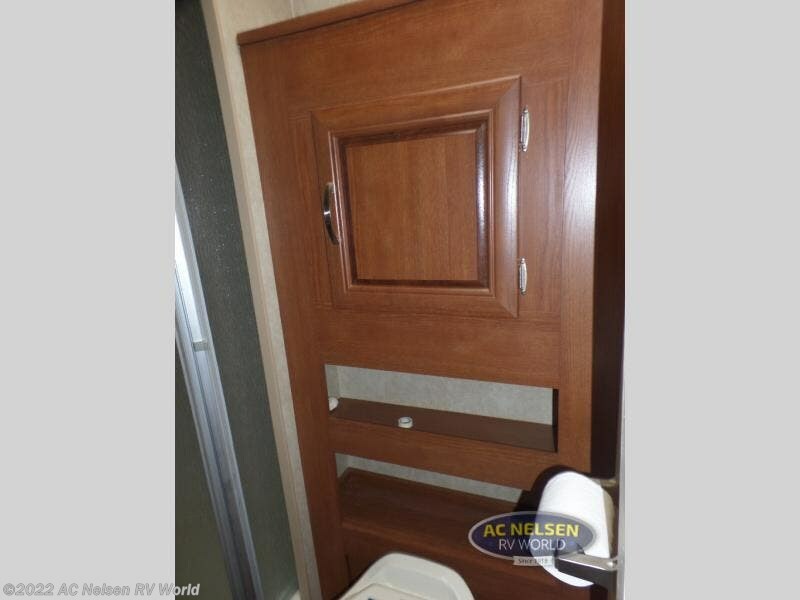 There is also a wardrobe in the bathroom which provides additional storage space. 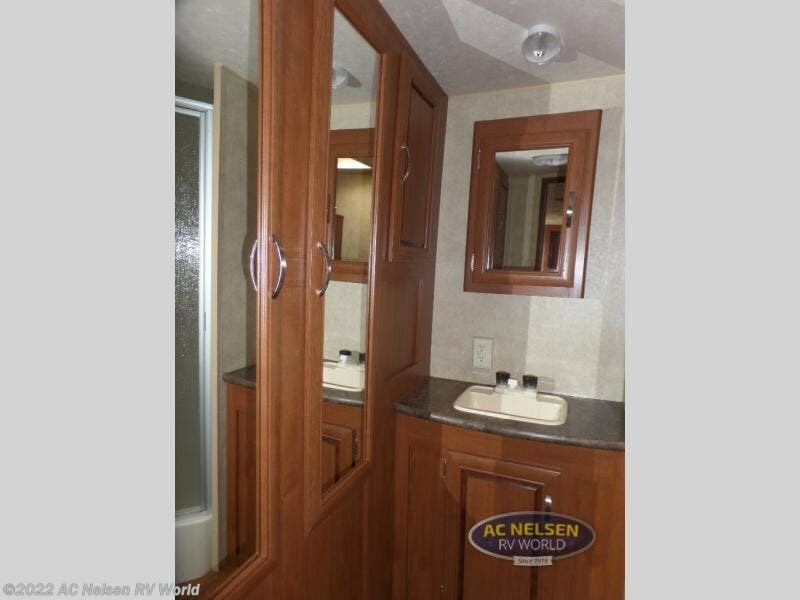 Just before you enter the bedroom area be sure to check out the entertainment center, which you are sure to enjoy! 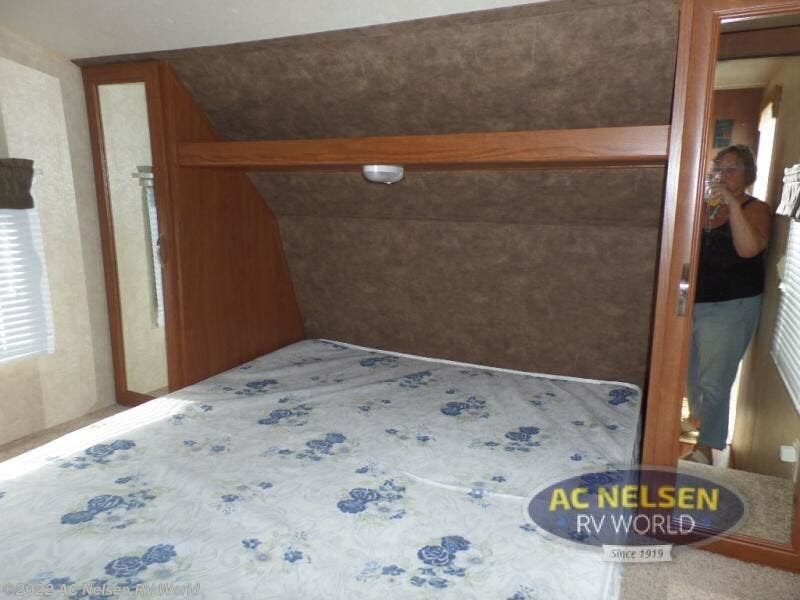 The bedroom has a comfortable queen bed and two wardrobes, one on either side of the bed. 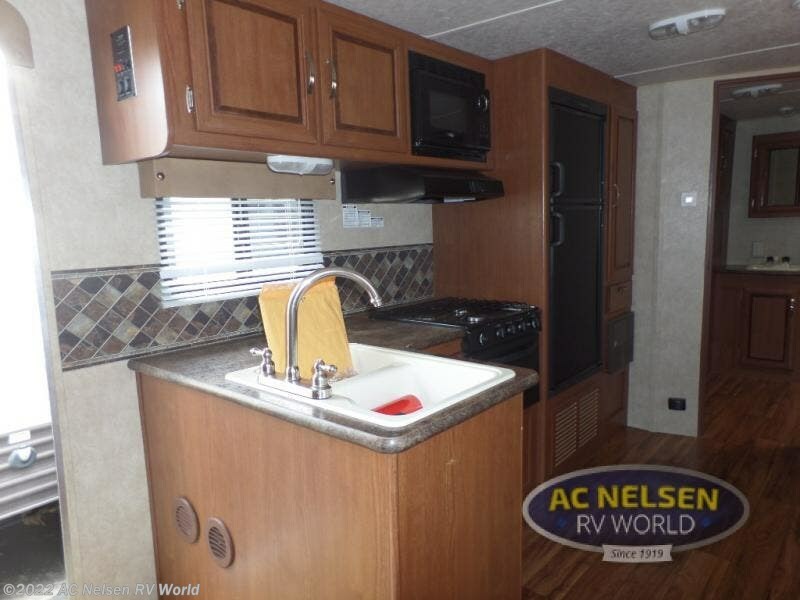 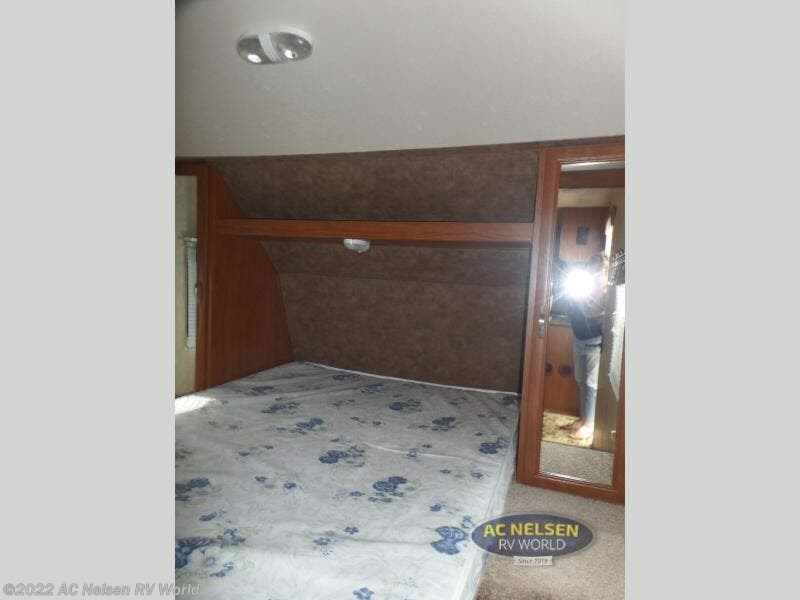 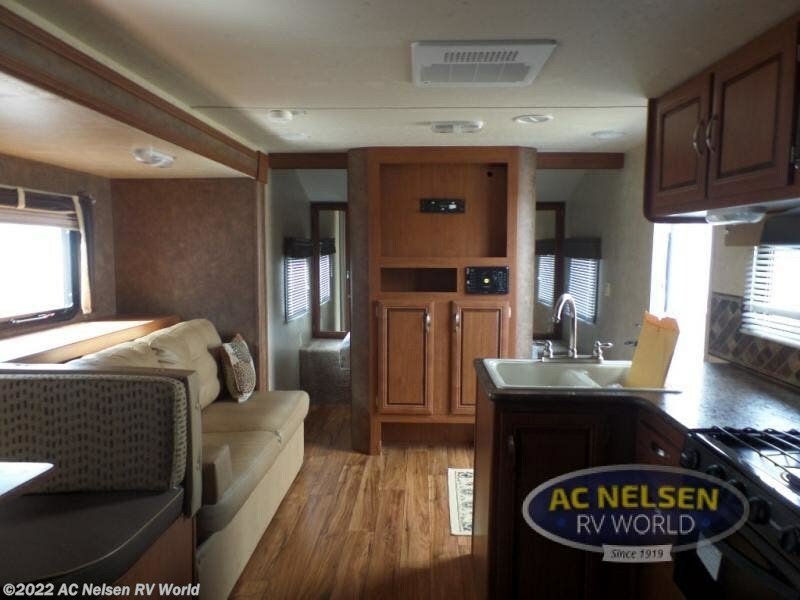 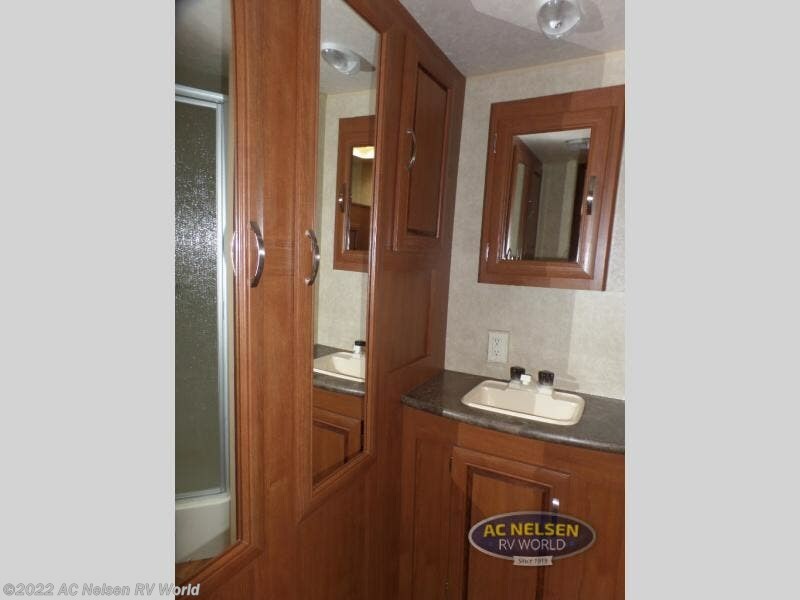 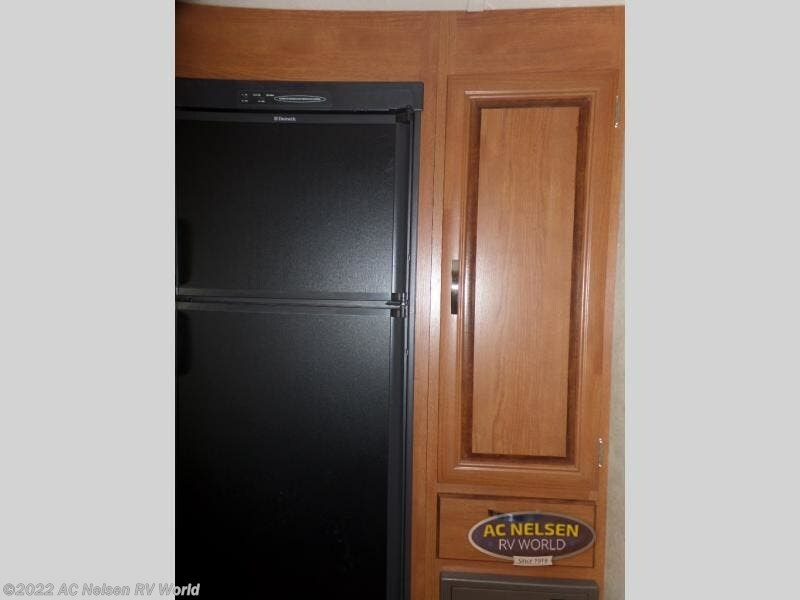 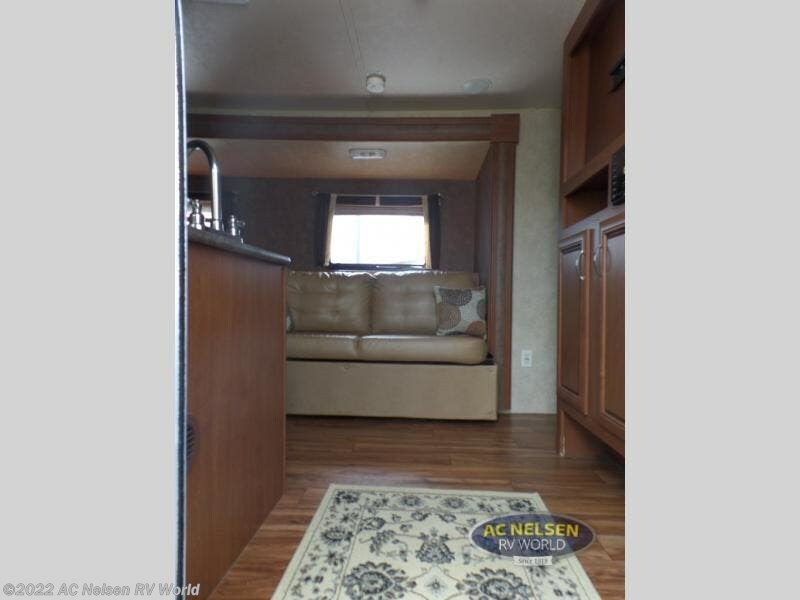 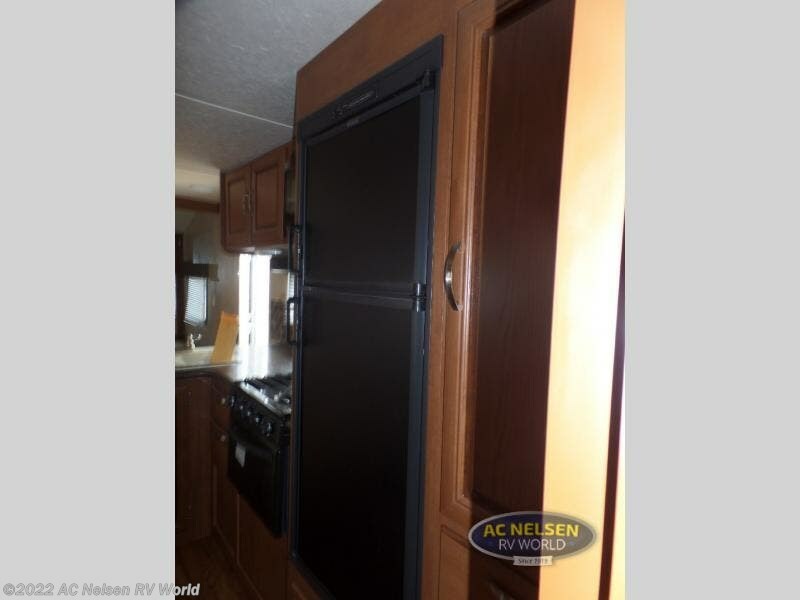 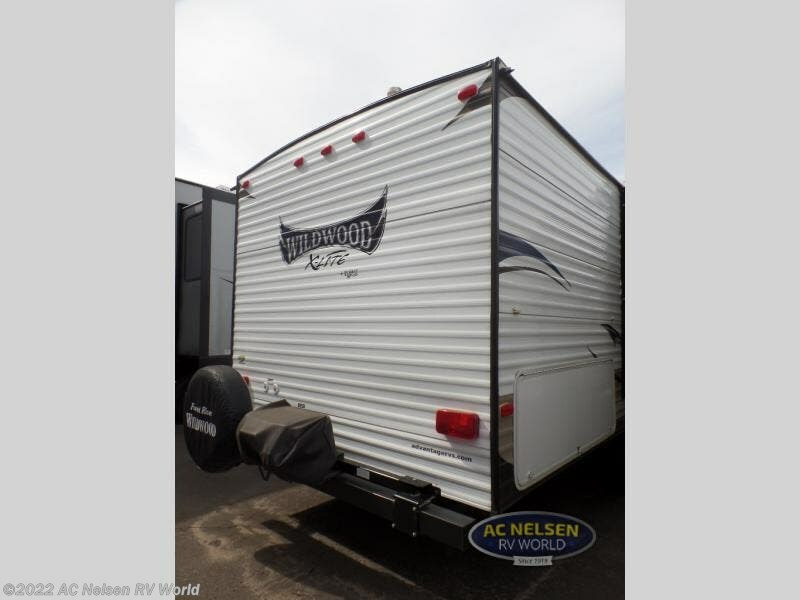 You will also find plenty of cabinet space inside the travel trailer, and a pass thru storage outside of the trailer. 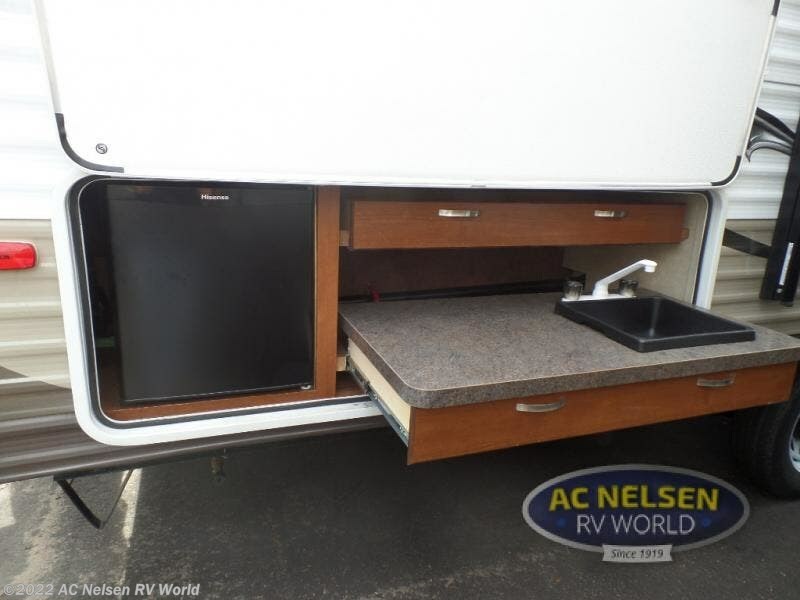 You can even choose an optional kitchen which would be a nice added bonus for your camping adventure. 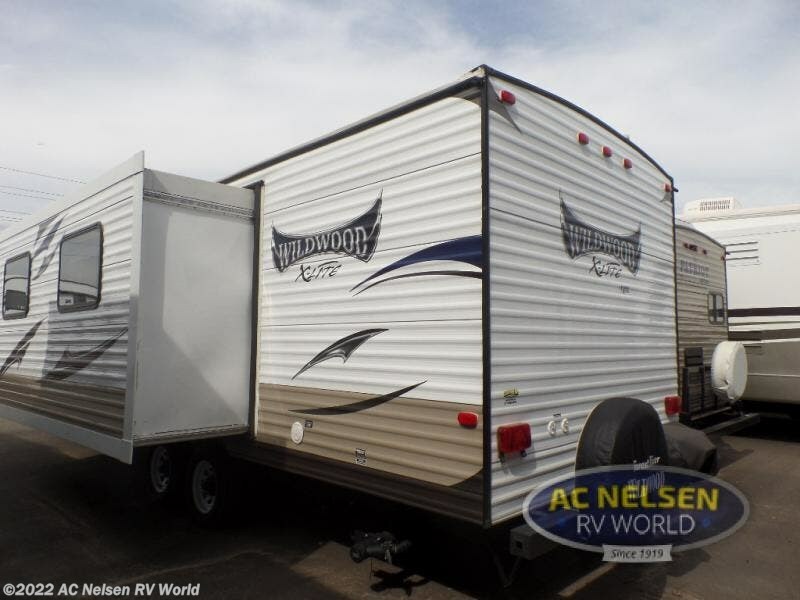 Check out Stock # 2834A - 2015 Forest River Wildwood X-Lite 271RBXL on forestriverrvsource.com!